Thanhouser Career Synopsis: Violet Heming was a leading lady at Thanhouser in 1910 and continued intermittently in roles through 1912. Biographical Notes: Born in Leeds, England on January 27, 1895, Violet Heming was the daughter of stage and screen actor Alfred Hemming (who died in 1942). Her mother, the former Mabel Allen, was a well-known actress on the English stage. Miss Heming dropped an "m" from her surname and used a stage name derived from the original family name of Heminge. John Heminge, an ancestor, was said to have been an acquaintance of Shakespeare, the publisher of the playwright's First Folio, and a well-known player in Elizabethan times. Her parents, Mr. and Mrs. Alfred Hemming maintained a summer home on the Isle of Man, on an estate adjacent to Greba Castle, where Hal Caine, a famous playwright and novelist lived. At one time Alfred Hemming owned theatres in England, in Douglas and Southport. Her first stage appearance was in England at the age of four, when a child actress became ill, and Violet was pressed into service in The Bohemian Girl, in which she sat on the king's lap and unintentionally fell asleep as he sung an aria. Violet Heming came to America with her parents not long thereafter. 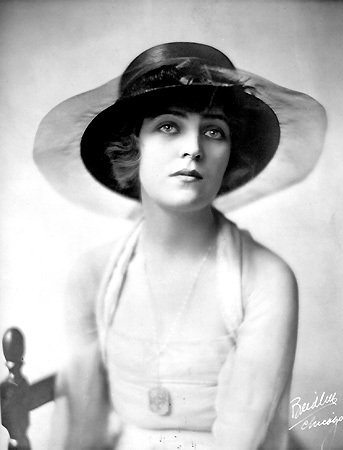 Her first important role was in America in 1908, when at the age of 12 she enacted Wendy in Charles Frohman's road company production Peter Pan. Soon thereafter she took the lead role in Rebecca of Sunnybrook Farm. Around this time she was seen on stage in Fluffy Ruffles, at the Criterion Theatre in New York City. In December 1910, at the age of 15, she appeared as leading woman to Albert Chevalier in Daddy Dufard, at the Hackett Theatre in New York City. On the Stage and Screen: At the same time she was scoring success on the stage, she joined the Thanhouser Company, for whom she worked intermittently in 1910 and became the leading lady (at the time, Frank Crane was the leading man). In early 1911 she was still one of Thanhouser's most important players, but by late spring she had departed. By early May 1911 she was back on the stage, in Chicago, in The Fox. After that production closed down for the summer, she had a role in Deep Purple, in Chicago, under the management of Liebler & Co. 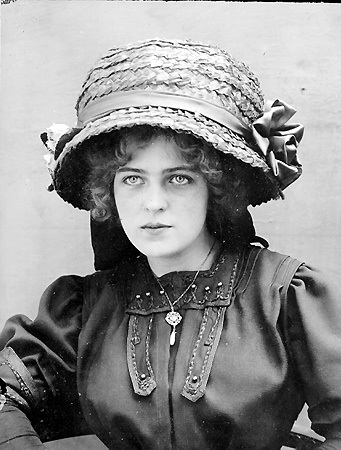 In between stage engagements, she returned to Thanhouser for a period and appeared in Thanhouser's February 1912 release of The Silent Witness. The March 13, 1912 issue of The New York Dramatic Mirror noted that Violet Heming "has been with the Thanhouser players for about seven months." During this era, Thanhouser did not feature its players prominently in advertising or on its posters, but her identity was known to movie patrons through her portrait in lobby exhibits. It may be assumed that she was in many pictures during her tenure with the New Rochelle studio. In 1912 she was on stage with George Arliss in a road company presentation of Disraeli. In an interview with the The Boston Traveler, published November 11, 1912, the actress stated that she loved Boston dearly, but it had one fault: the crowds on Washington Street. In 1914 she joined the Columbia stock company in Washington, D.C. The New York Dramatic Mirror, April 14, 1915, told of a new film role: "Violet Heming, who has been playing an important part in The Lie at the Harris Theater, and now playing at Under Cover at the Cort Theatre, has been secured by the Pre-Eminent Films, Ltd., to play a leading part under the direction of James Durkin, in their first production, The Running Fight, from the novel from William Hamilton Osborne, and Louis Albion's and David Perkins' play of the same name." Durkin, the husband of actress Maude Fealy, had been a director with Thanhouser earlier. An advertisement in The Motion Picture News, October 21, 1916, noted that she was among the screen players represented by Ouida Bergere, and that at the time she was available and could be "secured upon application." She appeared in Three Christmases (Popular Plays and Players for Metro, December 1916), The Danger Trail (Selig, 1917), The Judgment House (Paramount, November 1917), The Turn of the Wheel (Goldwyn, August 1918), The Cost (Paramount, 1920), and other films. The 1918 edition of the Motion Picture Studio Directory noted that at the time she was with Blackton Pictures Corporation and for recreation enjoyed horseback riding, swimming, and motoring. Her mail address was care of C.C. Wilkenning, 220 West 42nd Street, New York City. With disregard for the facts, the Motion Picture Classic, April 1919, stated that "It was not until a year or so ago that she did her first picture." Ignoring her Thanhouser experience, Miss Heming was quoted as saying: "It was terrible and we shall forget all about it. I didn't know the first thing about screen make-up and I looked quite awful. My real screen debut was in The Judgment House, which J. Stuart Blackton produced. I soon discovered that the screen and stage were radically different things. I think, too, that every actor who has played in pictures has been helped. He has been able to see himself for the first time. I think the films are a sort of first aid to acting." At the time of her interview she was on the stage in Three Faces East at the Cohan and Harris Theatre in New York City. Her Later Life: Violet Heming maintained her involvement in screen and stage acting through at least the early 1930s, and later appeared in radio, then television productions. In 1926, with Helen Hayes and Mary Pickford, she founded the Institute of the Woman's Theatre, to further the careers of stage aspirants. Among Miss Heming's notable later stage appearances was the role of Constance Nevins in Yes, My Darling Daughter, which was performed 400 times in New York City in 1937, after which it toured in 1938. She was also seen in George Arliss' film, The Man Who Played God, in which Bette Davis played her first important role. At one time she owned a piece of Canadian real estate in the St. Lawrence River, near Ganonoque, among the Thousand Islands, which she named Heming's Island. She also maintained a small farm in Maryland. In the early 1920s her publicity agent, Chamberlain Brown's Office, 160 West 45th Street, New York City, stated in a news release that Miss Heming preferred New York to California, and that her ideal balance of time would be to spend summers in England and winters in America. Violet Heming married Grant Mills (a stage and screen actor, born in Skowhegan, Maine, who died on August 4, 1973) in 1920 and subsequently divorced him, although the two remained in close touch and were good friends for years afterward. The marriage, although it lasted but a few years, was said to have been the one true romance of her life. In 1945 she married Judge Bennett "Champ" Clark, in a Berryville, Virginia ceremony in which the best man was President Harry Truman. The couple settled in the capital district. The union was not a love match, and there were difficulties when the independently well-to-do Miss Heming was expected by her husband to engage in the protocol of Washington society. Clark, a former senator, had a mind of his own, as did Miss Heming. She staunchly maintained her independence, planned her own schedule, and did what she alone wished. In 1952, she returned to the stage and was seen in Dear Barbarians, a comedy that folded after four performances. Clark died in 1954, while on vacation with her. Later, Miss Heming spent her retirement in New York City and her summers in Gloucester, Massachusetts. Violet Heming died in New York City, on the Upper East Side, on July 4, 1981. Interment was in the Arlington National Cemetery. She had no immediate survivors, but left a legacy of many friends and admirers.